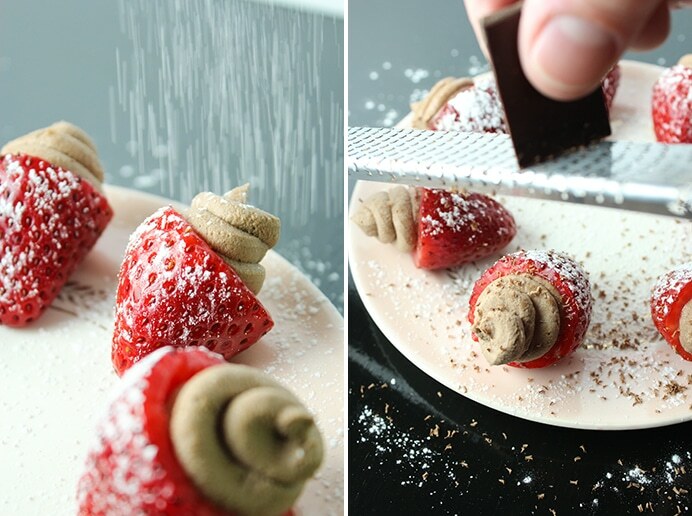 Move over chocolate-covered, there’s a new kind of strawberry in town. 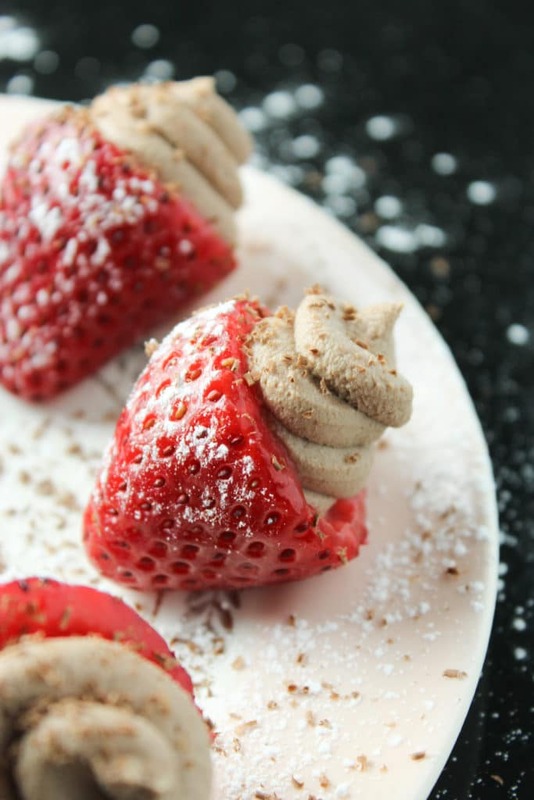 And it’s juicy and cute and filled with creamy, chocolatey whipped cream. Happy Valentine’s Day to me and you and you and you! 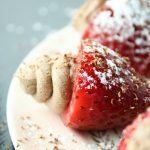 Chocolate-covered strawberries will always hold a special place in my heart, but that place got a little bit smaller when these entered my life. They’re easier to make, healthier, and far less messy. Until you start sprinkling the powdered sugar and shaved chocolate, that is. 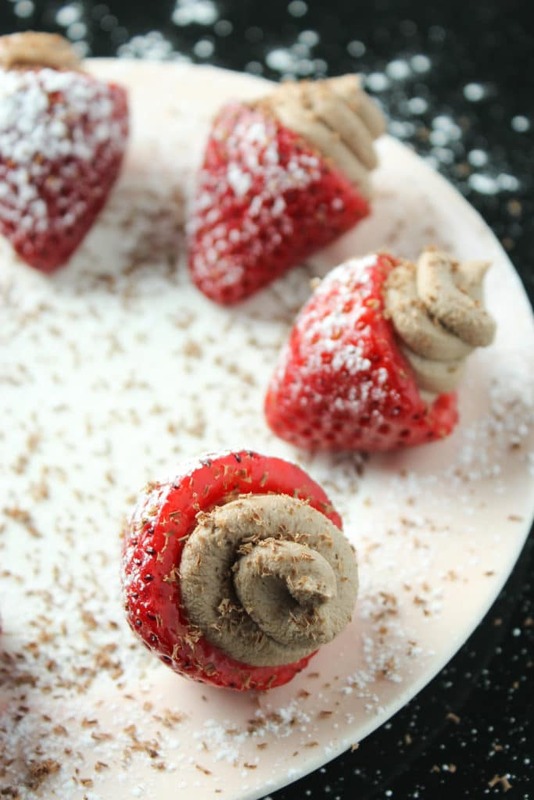 Whipped cream and strawberries have always been BFFs, so really, this was bound to happen eventually. Given the perfect timing with which these are coming at you, I highly recommend making a batch of these to surprise your sweetheart for Valentine’s Day, or tonight, or next Wednesday just because they deserve it. Other acceptable edible forms of appreciation include truffle cups, chocolate chip cookies, strawberry pie, and chocolate covered cookie dough bites. If you make these for someone special or if you make them so you can eat the whole plate by yourself [respect], ‘gram it! I want to see your beautiful, bite-sized pieces of whipped-cream-filled-bliss. I’m sure you’re more than savvy enough to know this already, but hashtag #thefitchen to show off your skills. 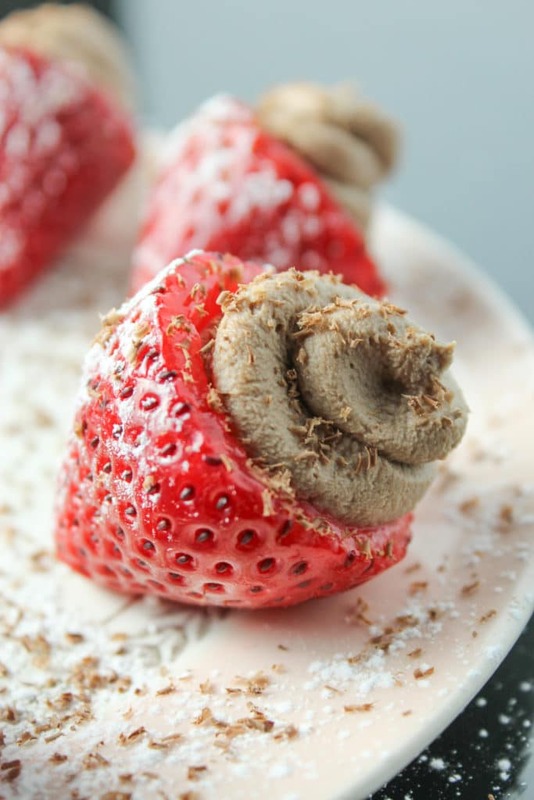 These strawberries are an easy, delicious, and healthy treat – perfect for Valentine’s Day and every other day. First things first, refrigerate your can of coconut milk for at least 12 hours. Place it somewhere that it won’t be disturbed while it chills. 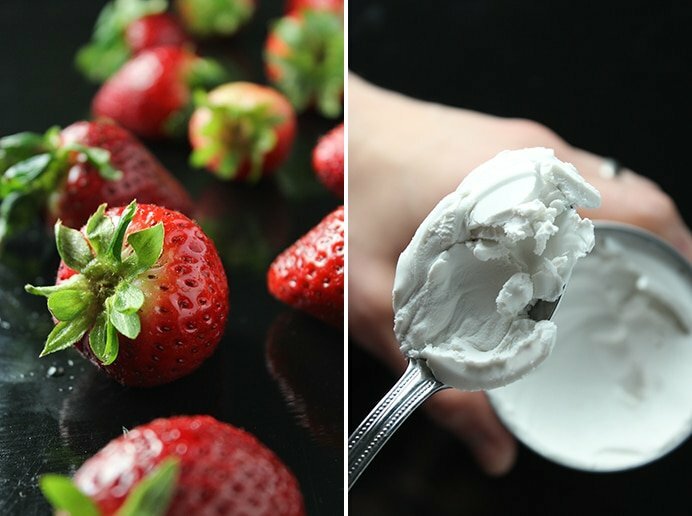 This step is KEY to having good whipped cream. When you’re ready to make your whipped cream, open the can of coconut milk carefully to keep it from mixing up. The goal is to keep the thick cream separated from the watery milk. Spoon the cream out of the can and into a large bowl. Keep scooping until you reach the liquid. Add vanilla, powdered sugar, and cocoa to the cream. 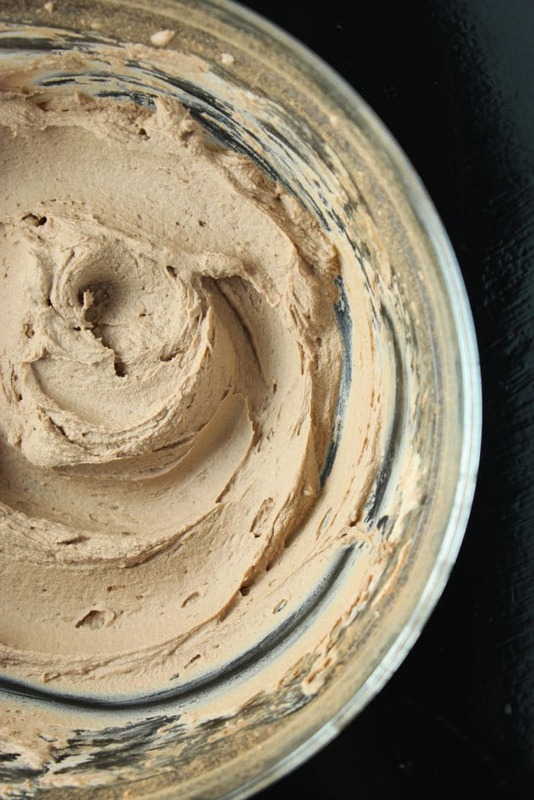 Using a hand mixer, blend the mixture on high until it is well-combined and turns into whipped cream. Refrigerate for a few minutes while you prepare the berries. 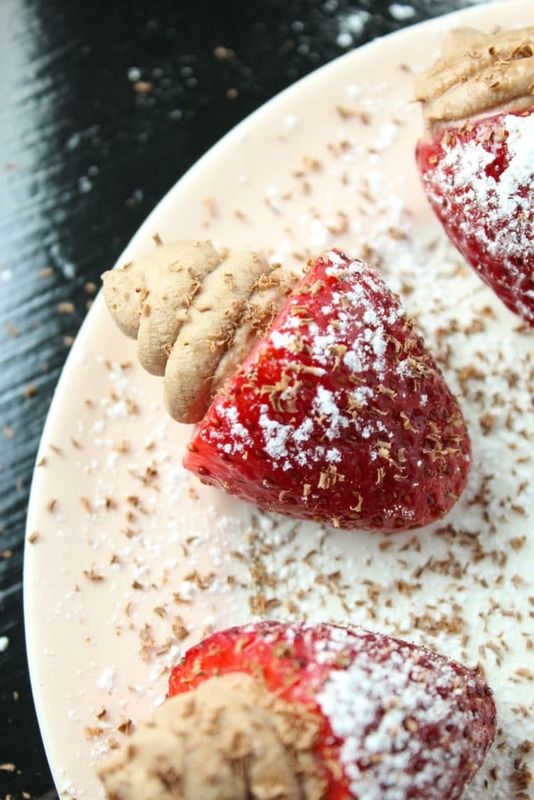 Wash strawberries and use a corer or knife to hollow them out. Spoon the whipped cream into a small Ziplock baggie and trim a small hole into the corner of the bag. 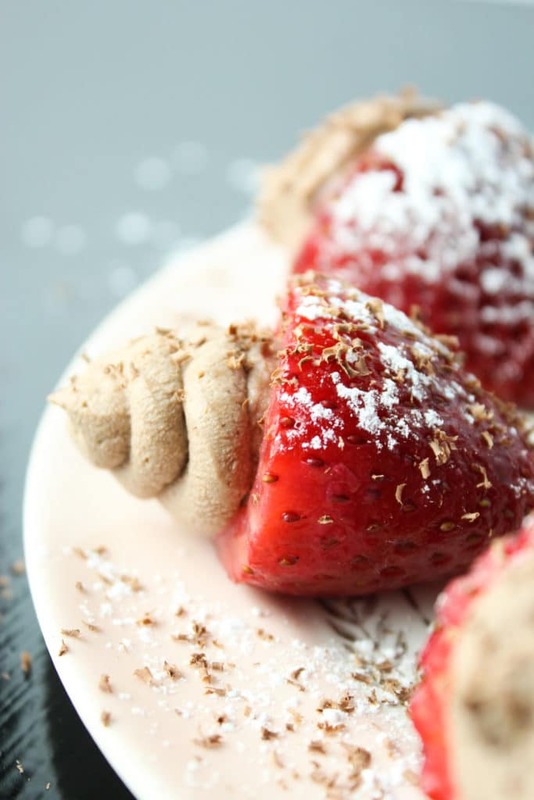 Squeeze the cream into the hollowed out strawberries and arrange them on a plate. If desired, sprinkle powdered sugar and shaved chocolate over top for added effect.